Presenting himself as the voice of the underclass, Aristide Bruant performed in the persona of a rough laborer singing songs in Parisian slang about the conditions of the poor. After making a name for himself at the Chat Noir cabaret, he opened the Mirliton in 1885, warning his audience that it was “for those seeking to be abused.” Once inside, patrons, especially those “born with a silver spoon in their mouth,” were subjected to his mocking insults. Bruant’s notoriety grew beyond Montmartre to more sophisticated entertainment venues near the Champs-Élysées. 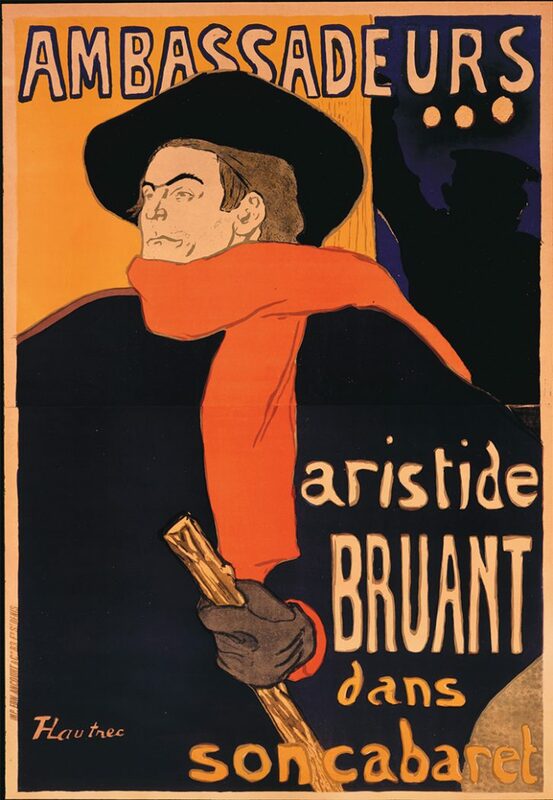 Toulouse-Lautrec created this striking poster for Bruant’s limited engagement at the Ambassadeurs, one of the city’s oldest café-concerts. He first drew his sitter at half-length in pencil, then created a large scale watercolor and gouache study. 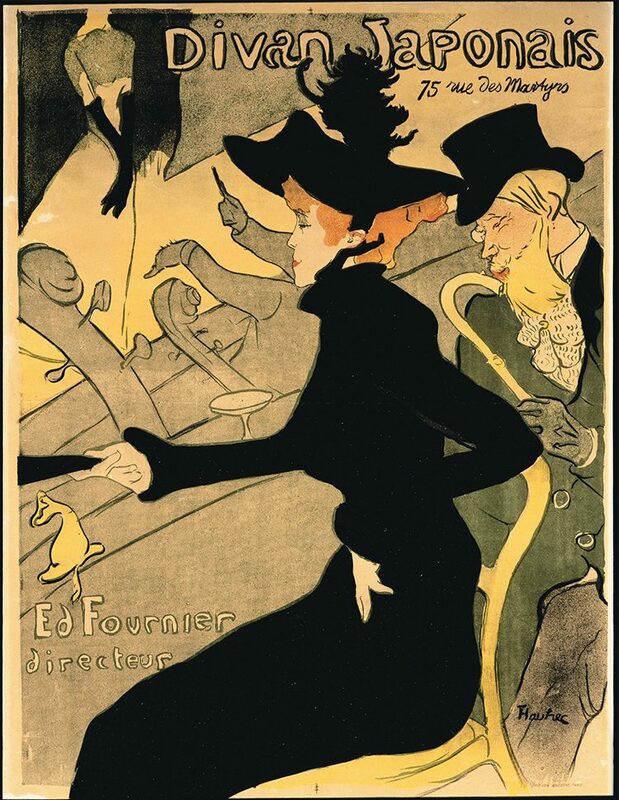 With bold, expansive regions of color, Toulouse-Lautrec simplified and synthesized Bruant’s most identifiable attributes—his overbearing confidence and his signature costume (dark cloak, hat, red scarf, boots, and walking stick)—and immortalized the entertainer. 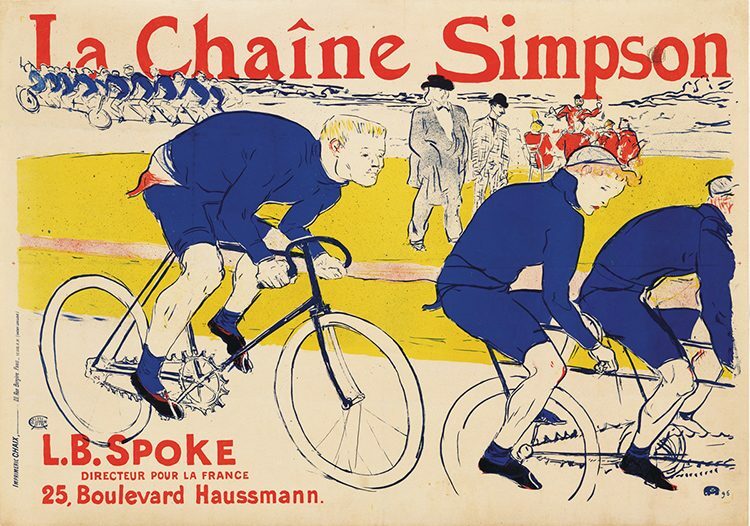 After Pierre Ducarre, the manager of the Ambassadeurs, rejected this radical poster, Bruant threatened: “You will post it on either side of the stage. . . . If it is not done . . . then I’m not going on!” Both the performance and the poster were tremendously successful, but Ducarre refused to pay for the design.